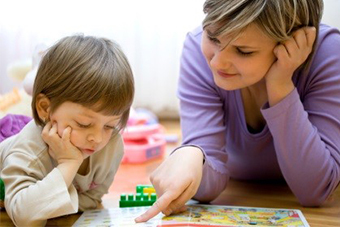 Children who are late to talk may go on to have persistent language disorders and learning difficulties. Research shows that birth to 3 years of age is a critical time for children’s speech and language development (NIDCD 2017). Early referral and detection of language difficulties is essential for enriching parent-child interaction and narrowing the gap between children with language difficulties and peers who have normal language acquisition. Between 18-24 months – Children’s vocabulary will build from 50 to 200-300 words. / Children will combine words into small phrases. If by two years of age, a child has two or more risk factors, less than 40 words and no small phrases, please consider a referral to Speech Pathology. Earlier referral may be indicated if you feel a child is unlikely to reach these targets by two years. Developmental norms apply equally to boys and girls (The Hanen Centre) and children developing language bilingually (ASHA 2017). These groups follow typically developing language patterns and do not develop language at a different rate.